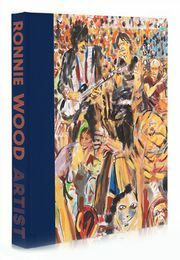 Genesis Publications is delighted to announce RONNIE WOOD: ARTIST- a new limited book and framed art print set. There are three Art Editions from which to choose. 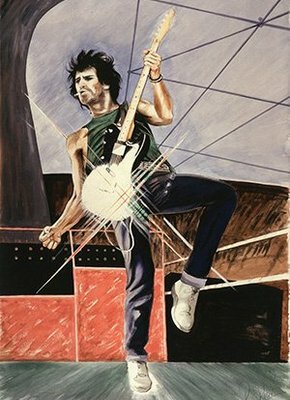 Each includes a different colour leather-bound book accompanied by a framed, artist-signed print featuring a portrait of either: Mick Jagger, Keith Richards, or Ronnie with Charlie Watts. The book is a retrospective of Wood's 60-year artistic career, encompassing his painting, mixed media and sculpture. The artworks are selected from a series created by Wood whilst the Rolling Stones were on tour in Japan in 2014 and have never before been sold as prints. Only 250 copies of each edition are being made available. To find out more about Ronnie Wood: Artist and to order your book and print set, click here.